If you love East Asian food, surely you, like us, have wished you could delight in those amazing flavors at every meal. While recently enjoying brunch with my husband, the thought suddenly struck him: Kimchi! And this recipe was born. 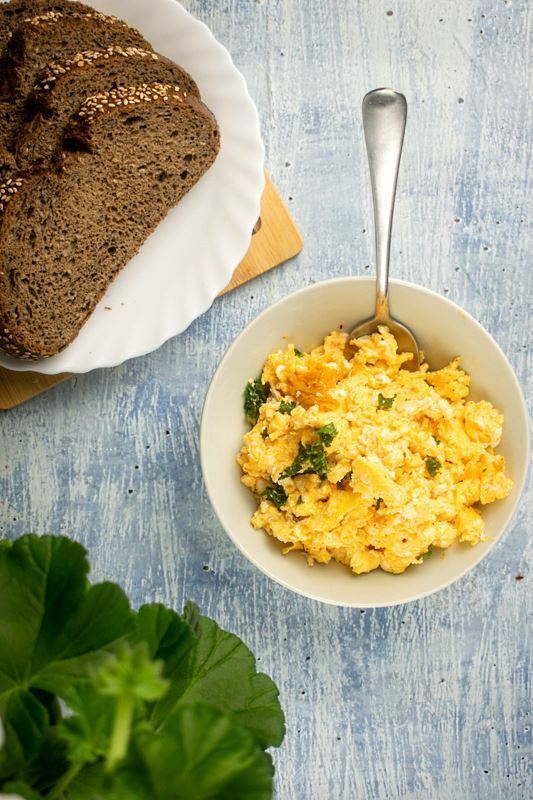 That tangy, flavorful, fermented veggie side dish would be a great addition to a classic breakfast staple, the humble egg, which we have regularly! According to the Journal of Ethnic Foods, kimchi, which has its origin in Korea, has been enjoyed for thousands of years. However, it has become somewhat of a phenomenon in U.S.-based restaurants in only recent years. Its surge in popularity has invited Korean and non-Korean foodies and chefs to turn to Korean ingredients. Kimchi has infused its way into salsa, tacos, chicken wings and even pasta, displaying both its versatility and growing popularity. 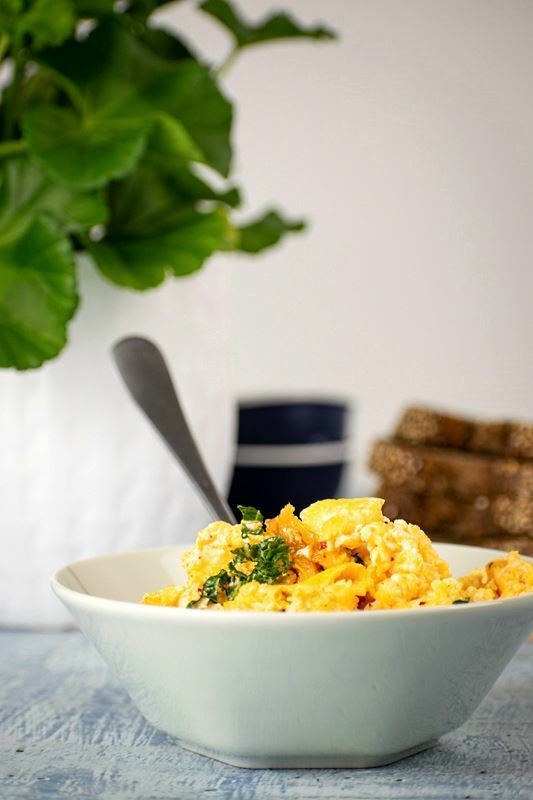 This fusion dish is a perfect way to shake up your scramble as we take on an American breakfast classic, the scrambled egg. 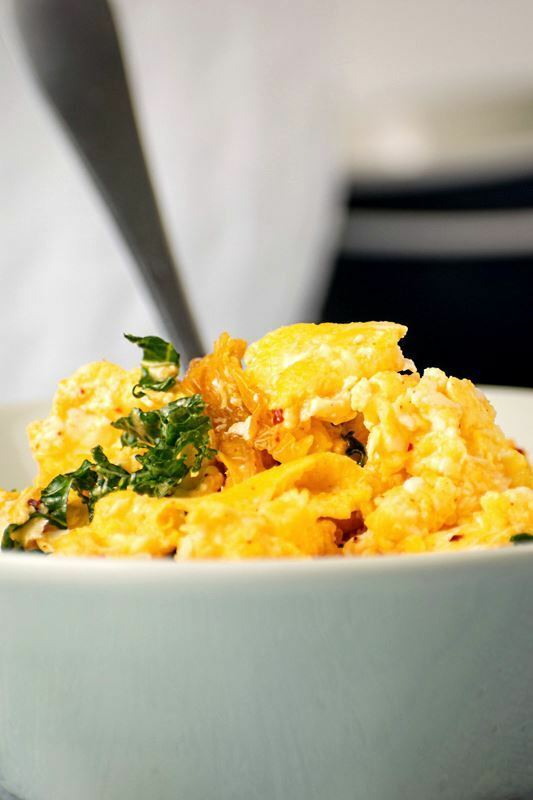 This recipe technique in particular makes a creamy, soft and delicious scramble. 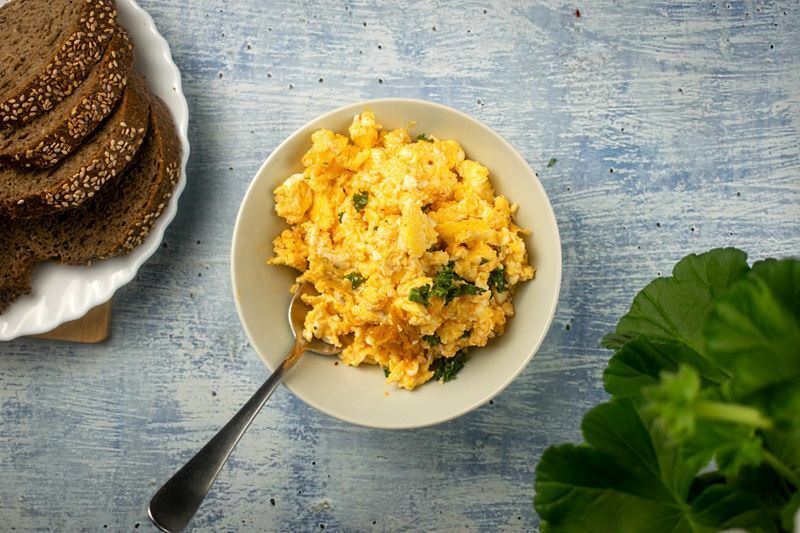 Crack eggs straight into non-stick saucepan. Add butter. Do not beat the eggs or season yet. Turn the heat on to medium-high. Stir constantly using a spatula, turning the egg & butter. Once the pan gets hot, remove it from the heat for about 20 seconds, continuing to stir and return to heat. 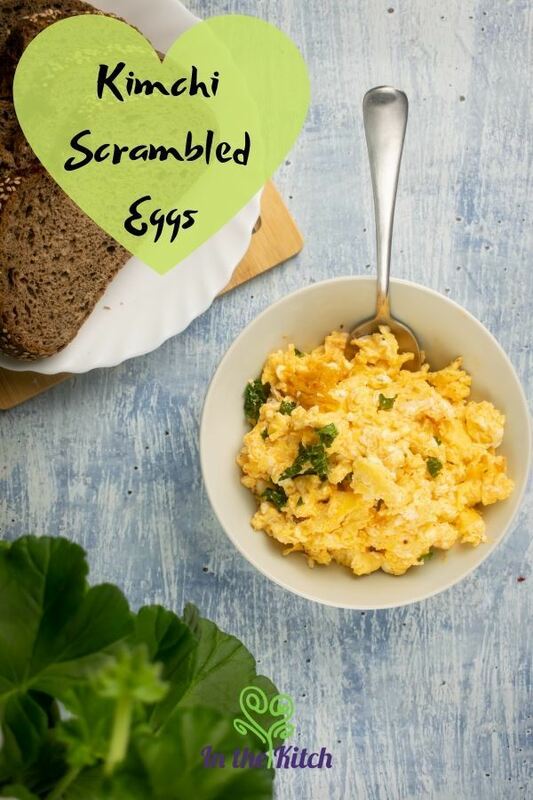 Do this at 30 second intervals to keep the eggs from over cooking. 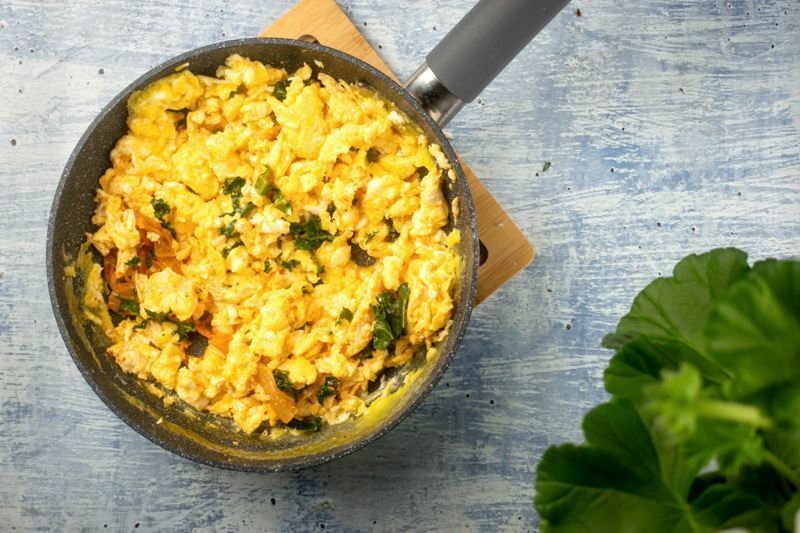 Cook for 2 to 4 minutes or until the eggs reach a creamy texture. Remove from heat. Mix in the sour cream immediately. Add the kale and 2 heaping teaspoons of kimchi. Season to taste with salt and pepper. Enjoy immediately! 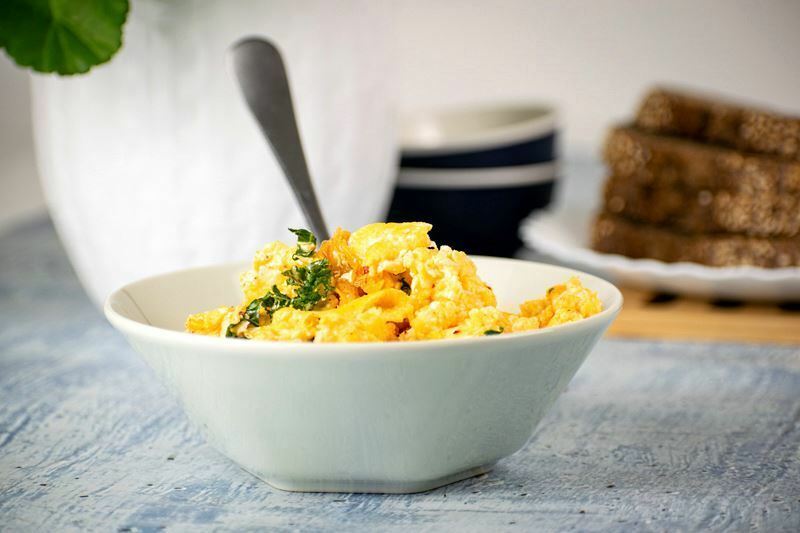 Eggs and kimchi may seem like an unlikely combination, but trust us, this pairing will make a delicious breakfast addition to any table’s morning. 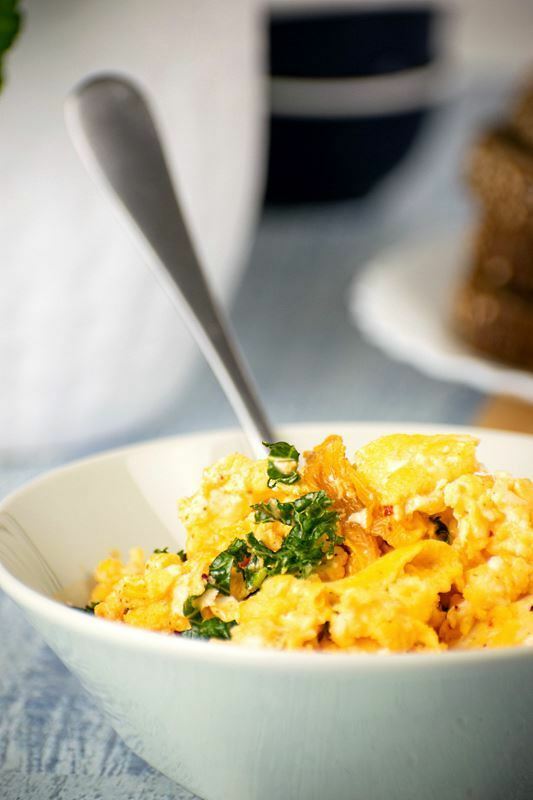 The warm creaminess of a scrambled egg and the spicy kimchi will leave your taste buds begging for seconds. Don’t be afraid to serve it atop buttery toast and alongside a warm cup of tea. It really is the perfect combination of East meets West. This easy-to-make recipe will quickly become your perfect go-to when your hankering for all things Korean comes calling. 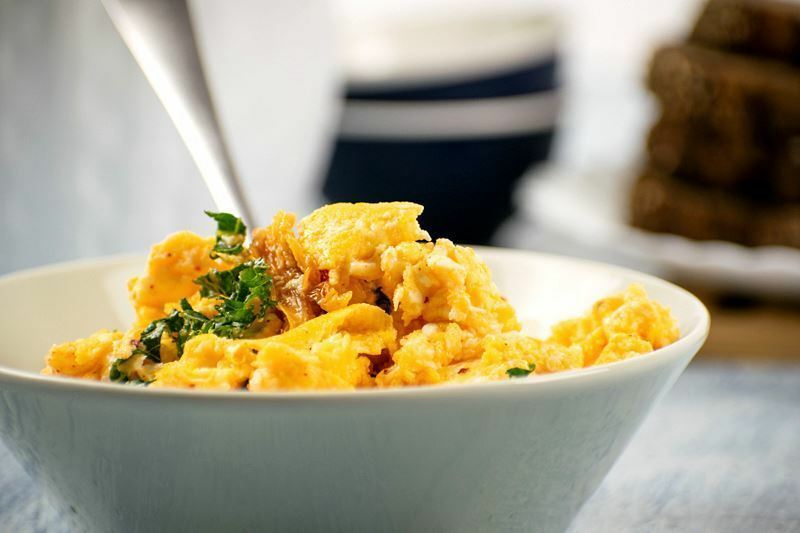 And, with only five ingredients, your craving will be satisfied in no time, not to mention, you may have most of the ingredients already in your fridge. In case you’re still reading this and not immediately raiding your kitchen, drop us a line to share how we may have inspired you to consider kimchi in other traditional dishes from other cultures? Happy eating!